(No. 406). 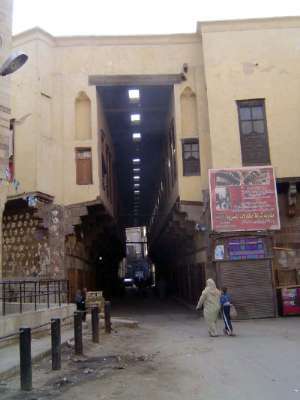 This is the last of Cairo's once-common covered streets. It's the Qasaba of Radwan Bey, built in the 17th century. The merchants worked down, lived up. They were outside the city wall, marked by the Bab Zuwayla, but the road continues south, as do we.